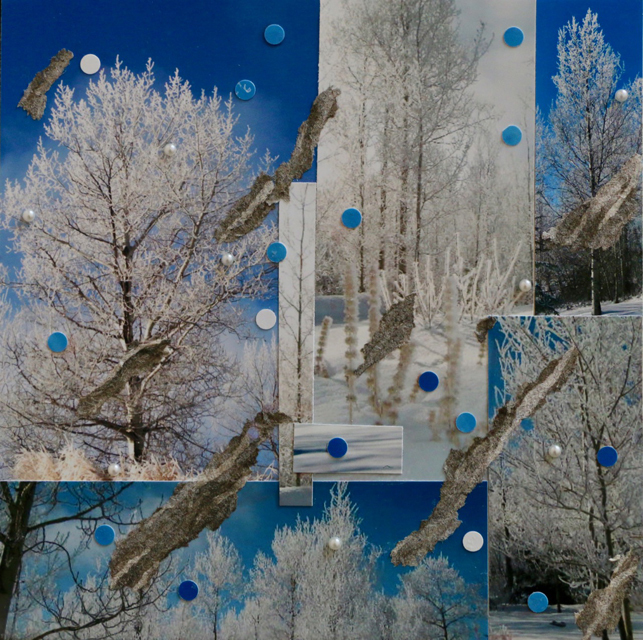 This photo Collage is the second in a series on Aspen trees. It is about a cold and bright winter day when Aspen branches are covered with frost and sparkle in the sun light. This entry was posted in Uncategorized on March 21, 2019 by Christine Meytras.